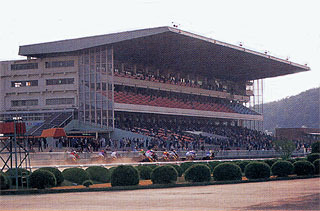 This racecourse is about 2 km north of Himeji Castle, a National Treasure that is also designated a World Cultural Heritage Site. 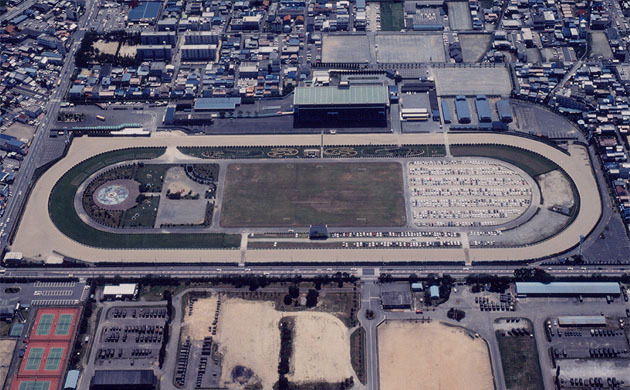 Popularly known as the Himeji Park Racecourse, it is rich in greenery and from its stands one can view the peaks of Nishi-Harima, such as Mt. Hiromine and Mt. Masui. 15 minutes from JR Himeji Station by Shinki Bus, route to Himeji Dokkyo University via the National Hospital; get off at "Keibajo-Mae" bus stop (in front of the racecourse). 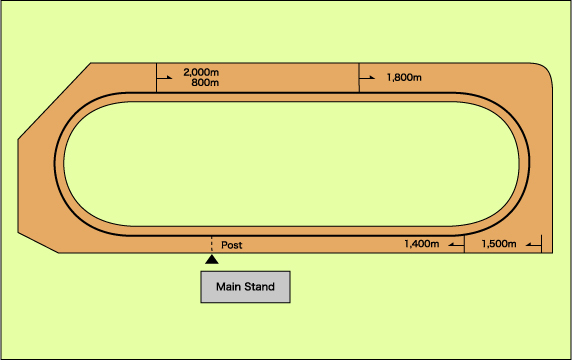 * On days when races are held, a free shuttle bus runs to the Himeji Racecourse, leaving in front of JR Himeji Station. 15 minutes from JR Himeji Station.